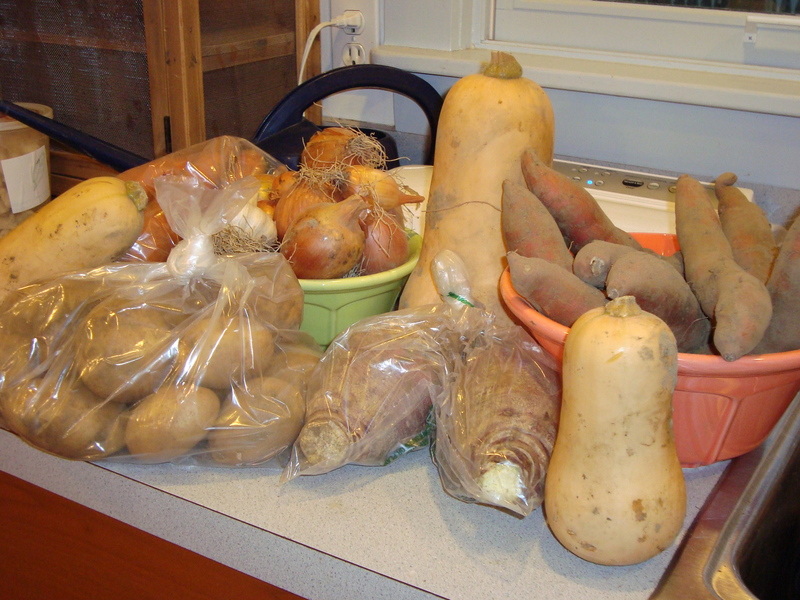 On Saturday, after we brought Bella home from the shelter, we picked up our second share from Gretta and Shared Harvest CSA. You can see the beautiful array of vegetables. Lots of different colors, flavors, and textures. 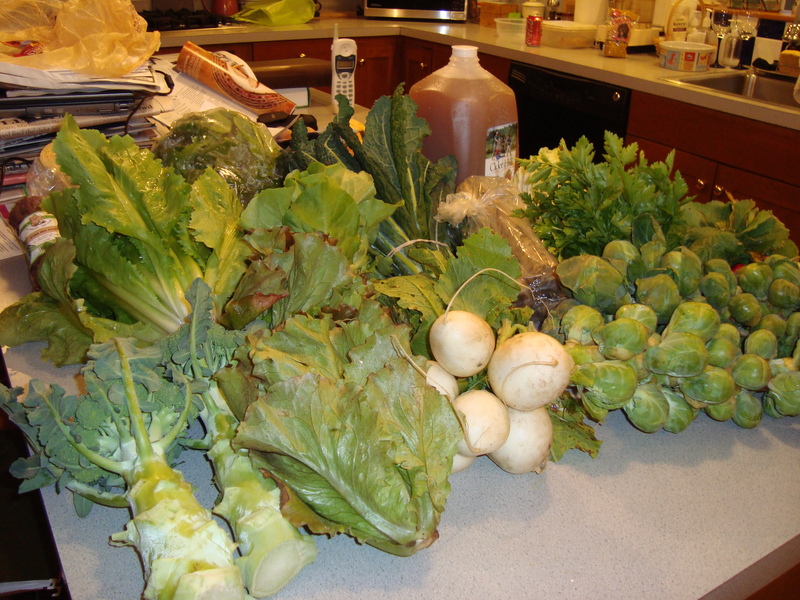 This time, here’s what we have to work with: leeks, napa cabbage, Brussels sprouts, salad turnips, spinach, kale, radishes, lettuce, escarole, parsnips, parsley, broccoli, butternut squash, sweet potatoes, white potatoes, carrots, rutabagas, onions, garlic and two pounds of locally grown red kidney beans. The next month looks like it will be filled with excellent cooking and eating. I’m still trying to figure out where to start.